Author: Reaper Studio: EviL-Inc. Productions Hi all, My name is Reaper, I made this Guide. Some of ya know me, I made the Guide explaining the Half Life story, because some of you dont understand anything in a game and you need a whole guide to explain it. So heres part 3, the final part. This time I will tell you more about the gman, also some FAQs, okey dokey lets begin, We know the story of Black Mesa, an experiment goes wrong, a few survioved out of 100s, Gordon was one of the most famous surviovrs, people expect him to come back and destroy the combine to save the world, but they wonder, where is he? Why is he hiding? Ok, Gordon is a sleep in stasis, put in there by the Gman, but where? Xen? No one knows, its a mystery only the gman can answer, he uses Gordon like a tool, sells him to anyone who is the highest bidder, The Gman chose Gordon, because he thought if he could survive black mesa alone and Xen he will have what it takes against the Combine. but the Gman knows more than we do, he works for someone, maybe another alien race? Because in the Beta version of Half Life 2 before it was remade he said "We have been rather busy while you were away" who the hell is "we"? that is one question everyone thinks of, but the answer might unlock more mysteries than we can think of... Black Mesa was just like training for Gordon to prepare for the Combine invasion, which means Gman chose him, because he was one of the only survivors who killed the Nihilianth alone, In Half Life 1 The Gman made you, In Half Life 2 He used you, In Half Life 2 Episode 1 he lost control, and In Episode 2... Its WAR! After Gordon and Alyx get out of City 17 Alyx goes into a coma from a train wreck, but some think she is dead, we dont really know. Episode 2 will be about the Combine Trying to regain control of Earth, but they still fear the humans, but its not some big bad weapon of mass destructions its not a nucular (nuclear) weapon, but its the human will, intelect, and their will to stand up to them selves on every horrible blow they strike against humanity, Episode 2 will be start of a Universal War, Breen saw it as A union, but a revolution starts and now its a War, the biggest war against 2 planets, and in Episode 3, the war will end and we will know who wins, will gordon destroy the combine like the Gman wants or will humanity lost a turn into stalkers and slaves? Adrian Shepard: What about our HECU soldier from Opposing Force? We know he is in stasis by the Gman, but what is the Gman waiting for? Why wont he unleash him? We have no idea, but we might see him soon. I dont think Valve would forget him. 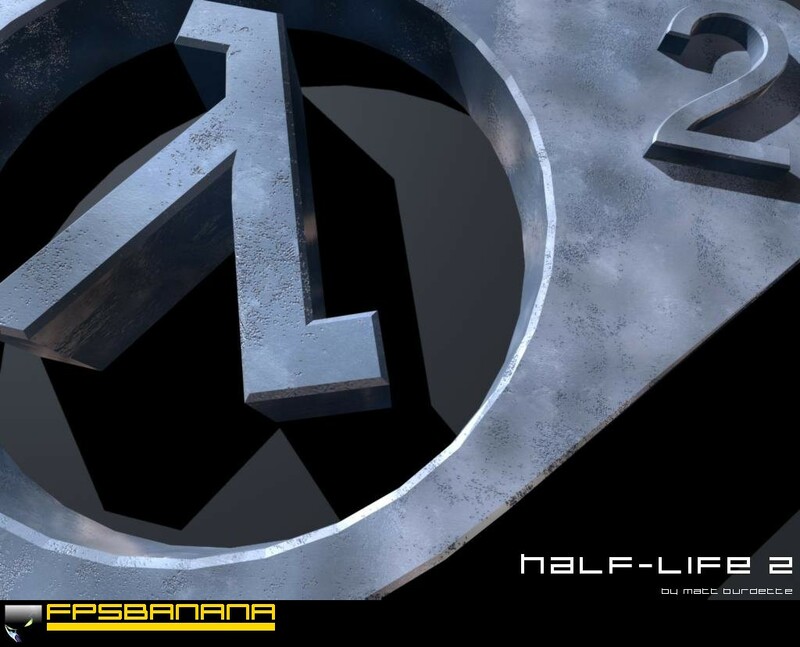 Portal: We found out that The guy you play as in portal might make an appearance in Half Life 2 Episode 3 and the nifty portal gun might be yours in Half Life 2, unless Valve become greedy and makes it a stand alone game. FAQs: Q. Why was Gordon chosen by the Gman? A. Mostly because the Black Mesa insident was like a good way to test some one for the Combine invasion and Gordon along with Adrian Shepard that those 2 might be the only people who can do it. Q. What happens to Adrian Shepard from Opposing Force? A. Gman saw him worthy too, like Gordon he put him in stasis and waiting to give him an assignment, maybe we will meet shepard sometime in Episode 2 or 3. Q. Who or What is the Gman? A. A question that no one can answer, definetly not human, he took a human form, but he is from another alien race, he is not the ruler, he works for some one, he predicted Black Mesa and Combine invasion maybe he went to black mesa to choose someone worthy to fight the combine because he knew what was coming. Q. In Half Life 2, what does Nova Prospekt is? A. Its a Greek or Latin, but I think Greek word which means New Perspektive. Ok Thanks, Hope you like my guides and good luck on your Half Life adventures, maybe you can learn more about half life by just playing, just keep your ears and eyes peeled and you might discover alot, Thanks for Reading. The End. Very, very in depth and really, really good. Posted by Rab1dHobo I seriously doubt that Episode 3 is going to be the last game in the series, just wait for Half-Life 3. The episodes are Half Life 3, they just divided it so they didnt have to make people wait for 6 years for the game. I seriously doubt that Episode 3 is going to be the last game in the series, just wait for Half-Life 3. See the problem is that its hard to make, there are no cut scenes so its probably impossible, but good idea. I might make Part 4, but not sure, I need some ideas. I have an idea for HL2: EP2. I think that like Gordon would be like hanging on the edge of a cliff or something after fighting hordes of Combine and aliens, and he takes a small glimpse of Adrian Shepard, then they look at each other, an eye for an eye, and then Gordon falls and blacks out. Nice guide. can't wait if you release Part 4.